NASA has proclaimed this image the most amazing high definition image of Earth ever. To see the colossal-super-mega high-resolution image, click here (it’s 8000px x 8000px and 16.4mb). 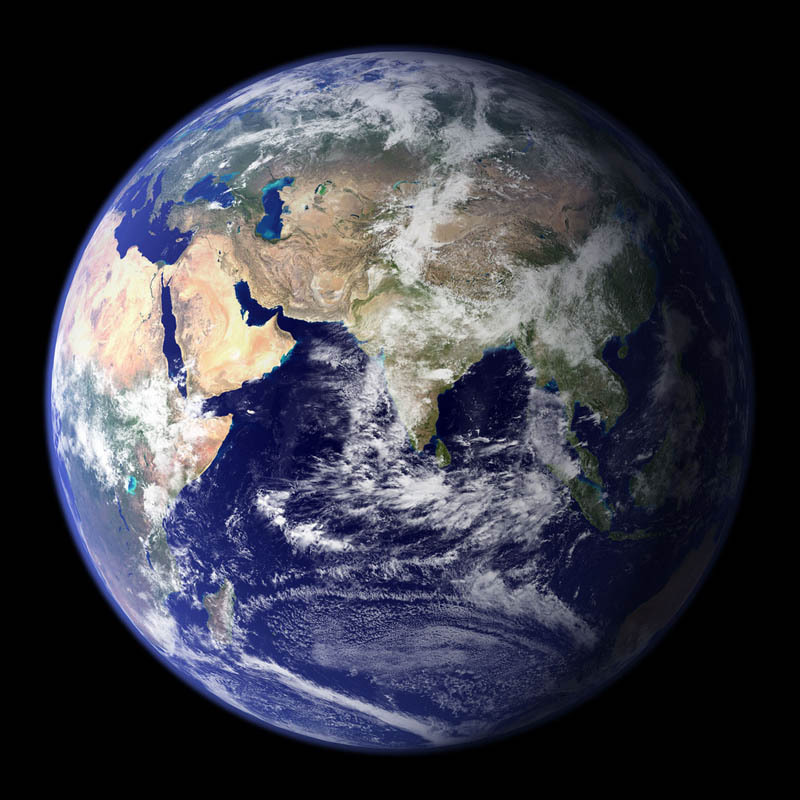 This ‘Blue Marble’ image of the Earth was taken from the VIIRS instrument aboard NASA’s most recently launched Earth-observing satellite – Suomi NPP. This composite image uses a number of swaths of the Earth’s surface taken on January 4, 2012. The NPP satellite was renamed ‘Suomi NPP’ on January 24, 2012 to honor the late Verner E. Suomi of the University of Wisconsin.